VERNON, N.J. — In the mountains of northwest New Jersey, a group of schoolchildren are doing something they do not have the opportunity to do back home in Newark: ski. 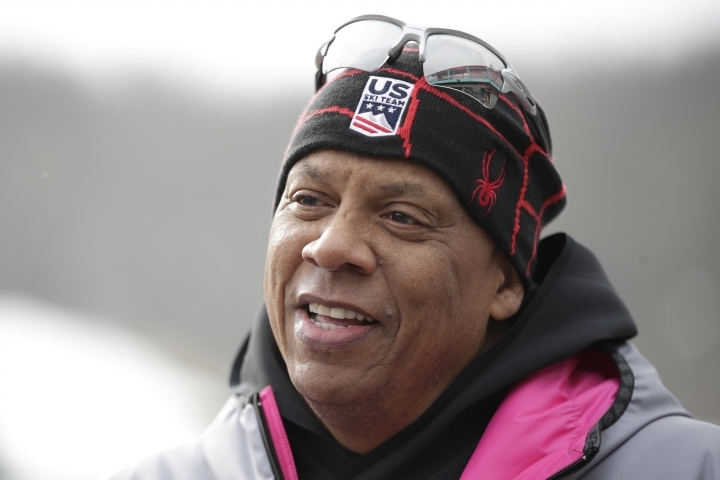 Schone Malliet created the National Winter Activity Center in Vernon to offer kids from New York City, Newark and the surrounding region what may be their first chance to learn the winter sport. "This place is a sacred place. It's built to allow kids to master the sport, to be able to introduce them to winter activities as a way to improve their life health and fitness," said Malliet, who also hopes to increase diversity among winter sports athletes and fans by helping to remove geographic, social and economic barriers. Growing up in the Bronx, Malliet said he was not exposed to skiing until he went for the first time with a fellow Marine in Utah. He co-founded the National Winter Sports Education Foundation in 2010 to teach kids and then rehabilitated an old ski lodge and reopened it as the training complex in the winter of 2014. The center provides skis, boots, helmets and warm ski clothes for students in kindergarten through eighth grade who train in downhill and cross-country skiing. Adult ski instructors help them tackle the slopes. "Skiing is very fun, like it's something that you usually normally don't do if you live in New Jersey," said sixth-grader Nariyah Graves, who was at the training center on a recent day along with dozens of classmates from Newark's Avon Avenue School. "It's not something that's normal but this is my first year here and I think I'm pretty good at it already." Charity Haygood, the school's principal, said that she and her fellow black classmates did not typically go skiing while growing up in Colorado. A woman whom she babysat for introduced her to the sport. "And I remember it being incredible," she said. "So then when I became a principal and I heard that my kids can have an opportunity to go skiing. I jumped on it immediately. And so this is our third year. And so our kids love it and will be taking their kids skiing when they grow up. So it's pretty awesome."